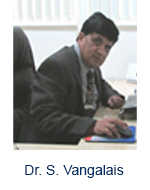 Dr. Subrahmanyam Vangalais Vice President in the Departmentof Drug Metabolism, Pharmacokinetics, Clinical Pharmacology and Investigative Toxicologyat the Advinus Therapeutics Ltd, Bangalore, India.He received his PhD Degree in1987 in Molecular Toxicology from the Department of Biochemistry,Memorial University of Newfoundland, St. John’s, Newfoundland, Canada. Then he completed his postdoctoral research from University of Colorado at Boulder, USA and continued as a Research Assistant Professorin Molecular Toxicology at School of Public Health, University of California, Berkeley, USA. He started his pharmaceutical industry career as senior scientist at Wyeth, New Jersey, USA, followed by as Group Leader at Purdue Pharma, Ardsley, New York, USA, and Director/Research Fellow at Johnson & Johnson, New Jersey, USA, Director at Shire-Human Genetic Therapies, Cambridge, USA, Vice President at SaiAdvantiumPharma, Pune, India and currently at Advinus, Bangalore, India. He has 21 years of experience in pharmaceutical industry specialized in drug discovery and development research of New Chemical Entities and contributed to more than 25 INDs and 7 NDAs. His Area of Expertise includes: Drug Discovery & Development in particular application of Pharmacology & Toxicology for evaluating safety and efficacy of New Chemical Entities. He has more than 40 publications including 30 plus peer reviewed publications and ~8 invited book chapters in Drug Metabolism, Pharmacokinetics, Toxicology, Chemical Carcinogenesis research areas. Dr.Subrahmanyam has been an invited speaker and chair of many International Symposia and Conferences related to Toxicology, Drug Metabolism and Pharmacokinetics, Drug Discovery & Development. 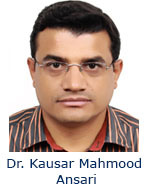 He has been on several organizing/planning committees for several Symposia and Conferences. He is currently on the editorial board for “STM Journal of Toxicology” and International Editorial Advisory Board for “Clinical Pharmacogenomics and Personalized Medicine”. 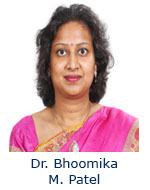 Dr. Bhoomika M. Patel, Assistant Professor in Department of Pharmacology, has more than ten years of teaching experience. She is also a diploma holder in Pharmaceutical Management (DPMM) and Quality Control and Quality Assurance Management (DPQCQAM). She has received a distinction of being the first rank holder (Gold medalist) for six consecutive years of B. Pharm. and M. Pharm. at Gujarat University, Gujarat, India. She got the highest marks in final year B. Pharm among all universities of India for which she was awarded Prof. M. L. Khorana Medal of Indian Pharmaceutical Association (IPA). In addition, she was the National Winner in the elocution competition at Indian Pharmaceutical Congress (IPC) and Achari Prize awardee for best research paper by young pharmacologist at national conference. She is also the recipient of the N. S. Dhalla young scientist award twice, an award for the best paper published in the year 2008. In all she is a recipient of more than THIRTY awards. She has attended and presented papers at various national and international level conferences including the one at International Academy of Cardiovascular Sciences, 2nd World congress at Japan, Heart Failure Congress 2011 at Gothenberg, Sweden and 6 for which she has received travel grants from the All India Council for Technical Education (AICTE) and Department of Science and Technology (DST) worth approximately Rs. 2,00,000/-. She has also received two minor research projects from Gujarat Council On Science and Technology (GUJCOST) and major research project from Science Engineering and Research Board (SERB), Indian Council of Medical Research (ICMR) worth more than 50,00,000/-. She has published 33 full length papers in national and international journals with total impact factor more than 55, ‘h’ index 11 and total citations above 650. She is reviewer for many journals with high impact factor of publishers like Elsevier, Springer, Bentham, Sage etc. She has authored books on “Practicals in organic and medicinal chemistry” and “Practicals in Pharmaceutical Analysis – I”. She has also written a book chapter in an international book. She is a life member of several professional bodies including IPA, APTI, IPS, IPGA, IHPA, SOPI, ISTE. 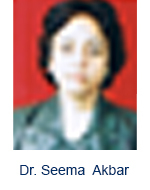 She is a recognized PG and Ph.D. guide at Nirma University. Her areas of interest are metabolic abnormalities in cancer, cachexia and cardiovascular diseases. 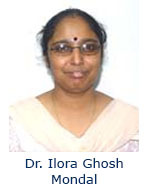 Dr. Ilora Ghosh (Mondal) is an Associate Professor, in the School of Environmental Sciences, JNU, New-Delhi, India. She pursued Ph. D degree [2000 (June) (Sub. in 1997 Dec.)] Department of Biophysics and Molecular Biology registered under Department of Botany, University of Calcutta, Kolkata, India. Her area of research interests includes Environmental Toxicology and Human Health, Cellular and Cancer Biology; Clinical Biochemistry. Application of Biotechnology, Biochemistry and Molecular Biology in the field of Stress Biochemistry, Cancer Biology and Reproductive Biology. She has total 28 years of rich experience in her specialized subject “Environmental Toxicology”. She has 5 best peer-reviewed publications, upto 3 peer-reviewed books/journals with two legal patents. 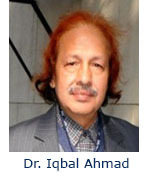 Dr. Iqbal Ahmad is a Senior Principal Scientist, Scientist-in-charge, Fibre Toxicology Division, CSIR-Indian Institute of Toxicological Research (IITR), Lucknow, India. He received his Ph.D. Degree in Zoology (Toxicology) from Aligarh Muslim University in the year 1987 and earned his postdoctoral from Northwestern University, Chicago, USA for two years (1989–91) in the area of Toxicology at the Cancer Centre. His area of research interest includes Fibre and Particle Nanotoxicology. He has total 36 years of valuable experience. He is the recipient of Bharat Jyoti Award, Best Citizens of India Award, Served as member ILO convention 62 on Asbestos and Chaired 17 Scientific sessions in International and national conferences. 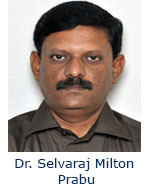 Dr. Selvaraj Milton Prabu is an Assistant Professor, Department of Zoology, Annamalai University, Tamilnadu, India. He pursued Ph.D in the subject Zoology, Toxicology and Pharmacotherapeutics area. He has total 18 years of rich experience (Research) followed by 13 years of experience (Teaching). He has attended 17 workshops and attended 2. Dr. S. M. Prabu is the recipient of 21 noval awards. 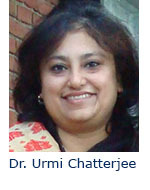 Dr. Urmi Chhaterjee is a Reader in Department of Zoology, University of Calcutta, Kolkata, India. Her area of research interest includes Cancer Mechanism and Therapy, Stem Cells and Nanotechnology in Cancer Therapeutics and Effect and Mechanism of Endocrine Disruptors. Her key publication includes articles are various National and International levels.